Mayor de Blasio also described a lawsuit filed by NYC on January 9 in federal court against ExxonMobil, BP, ConocoPhillips, Shell and Chevron. The lawsuit states that these five companies are collectively responsible for more than eleven percent of greenhouse gas emissions since the Industrial Revolution and seeks billions of dollars in civil damages to compensate NYC for the cost of climate change impacts caused by these emissions. The press conference was held in a Lower East Side building flooded by 20 feet of water during Superstorm Sandy in October 2012. The approximately $5 billion of fossil fuel investments in NYC’s $194 billion pension system, the fourth largest in the US, are held in 194 companies. Each of NYC’s five pension boards must now vote separately on divestment. These boards are the NYC Employees’ Retirement System (NYCERS), Teachers’ Retirement System of the City of New York (TRS), NYC Fire Department Pension Fund, NYC Police Pension Fund and the Board of Education Retirement System (BERS). The mayor’s appointed representative, currently John Adler, serves on all the pension boards except for BERS and is the chair of the NYCERS and TRS boards, which account for two-thirds of all NYC pension investments. The NYCERS board also includes the comptroller, the public advocate, the five borough presidents (who have one combined vote), District Council 37, AFSCME; the Transport Workers Union, Local 100; and the International Brotherhood of Teamsters, Local 237. Following Mayor de Blasio’s announcement, the NYCERS, TRS and BERS pension boards voted for resolutions that authorized the NYC Comptroller’s Office to issue an April 19 Request for Information (RFI) to obtain the knowledge required for developing a Request for Proposals (RFP) to determine a strategy for the potential divestment and exclusion of fossil fuel investments from the NYCERS, TRS, and BERS investment portfolios within a five year period. These recent developments represent the culmination of a five-year grassroots divestment campaign in NYC comprising rallies, educational events, petitions, meetings with pension trustees and financial experts, and the support of NYC elected officials. This campaign has benefited from the increasingly compelling financial reasons for fossil fuel divestment, the acceleration of climate change and the growth of the global divestment movement. 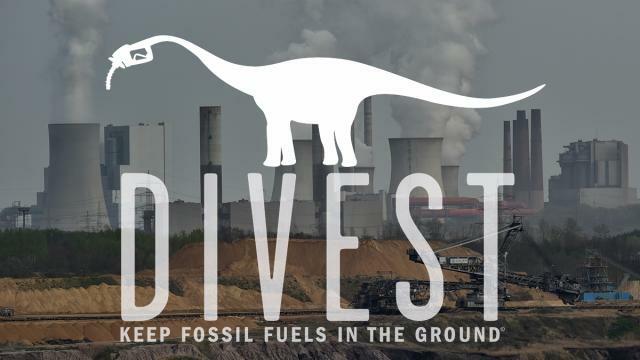 According to DivestInvest, over 852 institutional investors and 59,524 individuals throughout the world have now committed to divesting their fossil fuel holdings, from a total of $6 trillion in assets. The 350.org Do the Math Tour in NYC, which 350NYC helped to organize, launched the 350NYC divestment campaign. Over 2,000 people attended this November 16, 2012, event at which Bill McKibben and Naomi Klein explained the “three terrifying numbers”: an upper limit of 350 parts per million of carbon dioxide in the atmosphere and 565 gigatons of carbon that can be burned if we are to stay below two degrees Celsius of global warming since the late nineteenth century and avoid irreversible climate change tipping points. Soon after the Do the Math Tour, 350NYC, a local volunteer-led group founded by Lyna Hinkel and affiliated with 350.org since 2010, organized the Fossil Free NYC divestment campaign, which held its first event at Barnard College on December 10, 2012. Fossil Free NYC activists gave their first presentation on divestment in March 2013 to the chief of staff for Scott Stringer, the Manhattan borough president at that time. In July 2013, 350NYC formed a Divestment Working Group to focus on fossil fuel divestment from the NYC and NYS pension funds that involves members of student, faith-based and environmental organizations. For example, I was the Sierra Club NYC Group point person on divestment and served as the coordinator of the Divestment Working Group in 2015. We called on each of the five pension boards in the NYC pension system to immediately freeze investments in the top 200 publicly traded fossil fuel companies based on the carbon content of their proven coal, oil and gas reserves, as identified by the Carbon Underground 200, and to phase out of all investments in these companies over a five-year period. Submitting petitions to NYC Comptrollers John Liu and his successor Scott Stringer, and NYS Comptroller Thomas DiNapoli. February 26, 2014, Fossil Free NYC Divestment Open House. August 11, 2015, Financial Strategies for Keeping Fossil Fuels in the Ground panel discussion. October 15, 2016, Climate Justice & Public Pension Fund Investments — Divesting Public Pension Funds from Fossil Fuels forum organized by 350NYC and DC 37, AFSCME, one of the three unions in the NYCERS fund. June 14, 2014, rally at NYS Comptroller Thomas DiNapoli’s NYC office, at which over eleven thousand divestment petitions were delivered. Global Divestment Day NYC: “Which Side Are You On?” rally in the Financial District on February 13, 2015, with speakers from student, NYC pension and faith-based divestment campaigns; Stuart Braman from Fossil Free Indexes US, Council Member Helen Rosenthal, and Jarret Hova, deputy counsel for policy and legislation representing Public Advocate Letitia James, advocating for divesting from fossil fuels. October 31, 2015, Beware of the Carbon Bubble rally at 1 Centre Street that emphasized the financial risks of the carbon bubble — the inflated value of fossil fuel investments — and called on Comptroller Scott Stringer to divest fossil fuels from the NYC pension system. Writing articles on divestment and participating in radio and television interviews. Meeting with the pension trustees and their representatives on the NYC pension boards, and with financial experts in Comptroller Stringer and Mayor de Blasio’s offices. Presentations on divestment to a variety of organizations in NYC, such as faith-based organizations, NYC Democratic clubs, and community and environmental organizations. Retired schoolteachers in the Teachers Retirement System (TRS) participated in the since-dissolved UFT Social and Economic Justice Committee to call on the TRS to divest from fossil fuels and, with a public school student, spoke in support of divestment at a TRS pension board meeting on January 26, 2017. 350NYC also highlighted divestment at a 350NYC Global Climate Treaty: Why the U.S. Must Lead event, attended by 900 people on September 20, 2014, the night before the NYC People’s Climate March in NYC, in which 400,000 people participated; and a 350NYC Countdown to Paris: Update on Global Climate Treaty Negotiations event on March 19, 2015. The formation of a coalition of NYS organizations to advocate for the New York State Fossil Fuel Divestment Act, sponsored by State Senator Liz Krueger and Assembly Member and Assistant Speaker Felix W. Ortiz. The coalition’s activities included lobbying for the legislation and participating in two hearings in Albany. On September 29, 2015, Mayor Bill de Blasio announced a proposal to divest the NYC pension funds from thermal coal (the coal burned in power plants) worth about $33 million, and to develop a “long-term investment strategy that evaluates the funds’ fossil fuel investments.” During the fall of 2015, the NYCERS, TRS, NYC Fire Department Pension Fund and NYC Police Pension Fund voted to divest from thermal coal and in support of a resolution to review strategies for mitigating risks from climate change, including the possibility of divesting from fossil fuel companies. These votes by the pension trustees represented a major turning point in the NYC divestment campaign and demonstrated its success in creating a network of support for divestment among elected officials, pension trustees and recipients, and activist organizations. Subsequently, the NYC Comptroller’s Office issued Requests for Proposals that included a carbon footprint study (the source and amount of carbon emissions produced by each publicly traded company in NYC’s pension system), which is substantially broader in scope than the financial impact study required for divestment from the top 200 fossil fuel companies, the main demand of the global divestment movement. The Requests for Proposals; competitive bidding process; selection in February 2017 of Trucost for the carbon footprint study; selection of Mercer to provide recommendations based on this study; and the Trucost and Mercer presentations on their findings to the pension trustees — all of this occupied a two-year period in 2016 and 2017. Although the pension trustees could not vote on divestment prior to the Trucost and Mercer presentations at their monthly pension board meetings in fall 2017 and January 2018, activists continued to build public support for fossil fuel divestment. Submitting thousands of signatures to NYC Comptroller Scott Stringer on Valentine’s Day in 2017, which were collected for several years on an online divestment petition initiated by the 350NYC divestment campaign. A May 16, 2017, Climate, Jobs, and Justice Assembly Forum at which NYC Comptroller Scott Stringer and Public Advocate Letitia James were among the program speakers. Highlighting fossil fuel divestment at the #Sandy 5, October 2017 five-year Superstorm Sandy commemoration rally in Brooklyn and march across the Brooklyn Bridge, which was co-sponsored by over 150 organizations, including the Sierra Club and several environmental justice organizations. Holding a rally prior to, and participating in a November 29, 2017, public hearing titled “Climate Change: How NYC Can Take Action,” organized by Public Advocate Letitia James, at which speakers from several organizations, including the Sierra Club, discussed how climate change impacts are imperiling NYC’s future. Several solutions were proposed, such as green building efficiencies, renewable energy and battery storage innovations, and fossil fuel divestment. The hearing was held at the Borough of Manhattan Community College, which was flooded during Superstorm Sandy. A January 30, 2018, rally outside the 2018 Investor Summit on Climate Risk co-hosted by Ceres and the UN Foundation to call on NYS Comptroller Thomas DiNapoli to divest fossil fuels from the NYS Common Retirement Fund. The achievements of the NYC pension divestment campaign and Governor Andrew Cuomo’s support for divestment are providing momentum for divesting fossil fuels from the $200 billion NYS Common Retirement Fund. This is the third largest pension fund in the US and includes about $3.68 billion of investments in the top 200 fossil fuel companies. NYS Comptroller Thomas DiNapoli, the sole trustee of the NYS Common Retirement Fund, has opposed divestment and advocated instead for shareholder activism and increasing investment in a low-carbon fund. 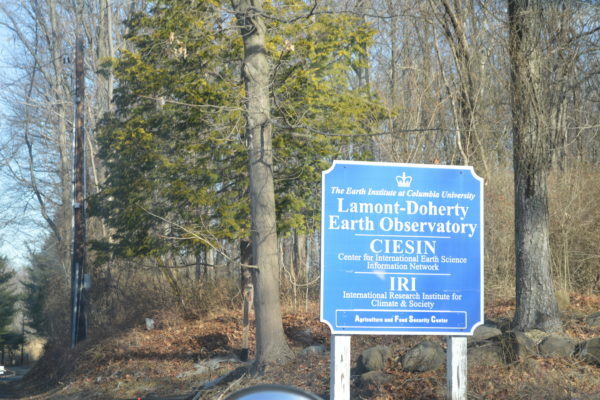 However, while indicating that he does not have any intention to divest, Comptroller DiNapoli has expressed a willingness to work with Governor Cuomo to create an advisory committee. The Sierra Club Atlantic Chapter will continue to advocate for the New York State Fossil Fuel Divestment Act sponsored by State Senator Liz Krueger and Assembly Assistant Speaker Felix W. Ortiz. The bill requires the NYS Common Retirement Fund to divest from its holdings in the top 200 fossil fuel companies based on the carbon content of their proven coal, oil and gas reserves, with coal to be divested within one year, and oil and gas within five years of the enactment of the legislation. To increase the number of sponsors, we can call and write our representatives in the NYS Senate and Assembly, and ask them to co-sponsor S.4596-A/A.3712-A. For a list of NYS legislators, see: http://www.nysenate.gov/find-my-senator and http://assembly.state.ny.us/mem. Since the 350.org Do the Math Tour in 2012, the divestment movement has expanded to include demands that banks should stop financing fossil fuel infrastructure, such as new oil and gas pipelines. We must also advocate for the policies, mandates and incentives required to transition from fossil fuels to a new, green economy based on renewable forms of energy.